The ECS’s business relationship with Anglo American commenced in 2006 through the BP Global Strategy accounts team, led by Neale Smither. BP fuel tender submissions to individual Anglo mines included ECS’s Energy Management service, known at the time as Energy Plus. Over the following five years ECS, through BP, supplied Energy Plus to Venetia Diamond Mine, Sishen Iron Ore Mine and Kolomela Iron Ore Mine. Over the past 11 years the business relationship has developed to a point where a Global Framework Agreement (GFA) is currently being finalised between ECS and Anglo American. This GFA is for the supply of ECS Solutions and services to the Anglo-American operations globally. The direct value-based relationships that ECS has built up with the wider Anglo business over the years have helped set the platform for this strategic relationship. The actual ECS Solutions and services are contractually delivered through the operational Business Units in focused mining sectors, being Kumba Iron Ore, DeBeers Diamonds, Debswana Diamond Mines and Platinum. There are regular strategic services and consultation engagements between ECS and Anglo American’s leaders of mining and operations, energy management, business improvement and strategy. Anglo American has a strategic commitment to support the implementation of the ECS Solutions and services throughout their operations globally. ECS and Dust-A-Side’s (DAS) journey started in 2008. There was a joint commitment to develop a haul road condition monitoring and reporting solution that would provide insight into DAS versus non-DAS haul road performance. A haul road performance evaluation trial methodology, process and procedure for measuring the fuel efficiency impact of DAS- treated haul roads was developed and implemented at Jwaneng Diamond Mine Botswana in 2009. The results of the nine-month Jwaneng trial conclusively showed that there was a significant fuel benefit derived from DAS- treated and maintained haul roads. This led to the first long-term contract between DAS and ECS in 2009 for the supply of the Haul Road Condition Monitoring and Reporting Solution. This later developed into DASMetrics which has already been rolled out to 16 mine sites in four African countries. The DASMetrics Solution contract was renewed for a further three years in September 2017 with the commitment to further grow and develop the Solution capability to enable access to a larger footprint and presence in DAS’s global business. The enhancement of the future relationship between ECS and DAS is part of both organisations’ strategic plans for 2018. This will be aligned with DAS’s global market focus. ECS and Masana’s relationship was formed on the back of a long-standing successful BP/ECS contractual relationship that had been in place since 2002. 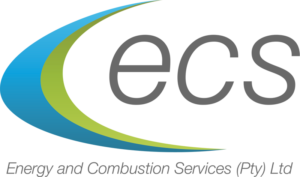 ECS’s contract with BP was for the supply of energy management services (Energy Plus) to the Commercial and Industrial Business Unit. It was from this Business Unit that BP launched and formed the B-BBEE based Masana Petroleum Solutions business. The strategic importance of Masana retaining ECS’s services was significant and was due to customer retention and margins obtained from their industrial and mining customer base. 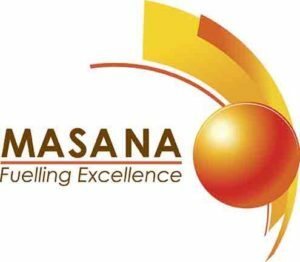 Masana so highly valued the ECS Solutions, services and relationship that they acquired a 30% stake in the ECS business in 2007 – thus further entrenching the relationship, and obtaining direct access to continued value creation and sustainability for their customers.